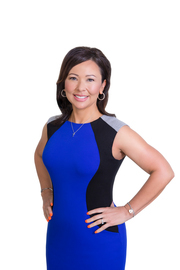 Priscilla Favors was born and raised in West Texas and has had her Texas real estate license since 1999. She was raised in a home where her parents taught her the importance of a strong work ethic, integrity, and a passion for people. These characteristics have contributed to a successful career and more importantly have given her the opportunity to create strong relationships built on trust and strong values. Priscilla recognizes the importance of the decision when it comes to buying and selling your home. She takes pride in taking the time to communicate and listen to the needs of the client. Her ability to build strong relationships has also been key in the negotiations of a real estate contract. Her passion and ability to connect to people will ensure your home buying or selling experience is easy and enjoyable. Priscilla is also married and has three kids who are her daily inspiration. She enjoys spending time with family, traveling, health/fitness, and personal development.